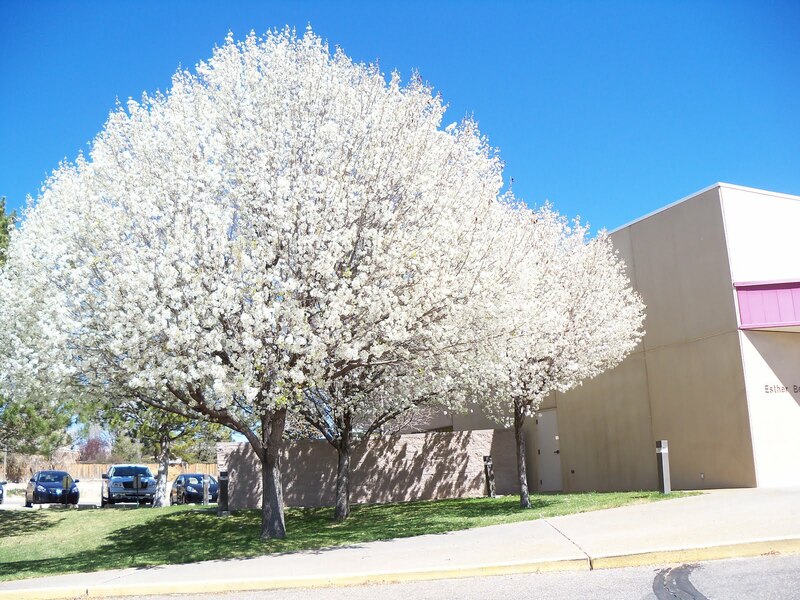 Bradford pear (Pyrus calleryana ?Bradford') is a beautiful spring-flowering tree that has gained popularity in the past 20 years and is frequently seen in nearly every city within its growing range. The Bradford pear is a true harbinger of spring! I think that one of the most attractive features of this thornless tree is the display of showy white flowers that appear in spring, usually before the leaves. In the fall the leaves turn mahogany-red and then sometimes bright orange-red by late autumn. Despite its name, the species is a native of China. Your Bradford pear trees will grow 30 to 50 feet tall and 20 to 30 feet wide, and have a narrower and more erect canopy than some other flowering pear varieties. A great benefit of the Bradford is that it is a rapid grower, achieving a 12 to 15 feet increase in height over an 8- to 10-year period. However, it has a short to moderate life span of around 25 to 30 years. The Bradford pear may be grown as a specimen, screen or street tree. It's a very useful tree for urban settings because of its tolerance to pollution. The Bradford pear grows best in full sun but will tolerate part shade. It requires low-to-medium fertility, and tolerates most soil types and conditions, including occasional wet soils or drought. Flowering: Blooming Growth Rate: Fast growth rate Light requirements: Full Sun Plant Group: Tree Plant Type: Deciduous Plant Zone: Zone 5, Zone 6, Zone 7, Zone 8 Size at Maturity: 30 - 50 ft Size at time of shipping: 1-2' ships bare root.